Pair of lumbar side backrests. ..
Price from: 67.20 лв. Ex Tax: 56.00 лв. Price from: 69.60 лв. Ex Tax: 58.00 лв. Price from: 93.60 лв. Ex Tax: 78.00 лв. Drink bag. Insulates from outside heat and keeps drinks at a constant temperature. 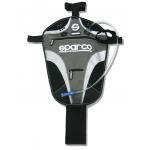 Holds 1.5 litres, inner bottle and spout also available as spare parts. Four braces for attachment to..
Price from: 235.20 лв. Ex Tax: 196.00 лв. Price from: 312.00 лв. Ex Tax: 260.00 лв.